O'Donovan's Hotel is situated in the heart of Clonakilty Town. It is Clonakilty's oldest family run hotel, Originally built in Boyle Street (now Astna Street), in 1853, by Denis O'Donovan, our great, great, great grand father. 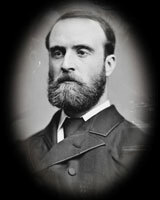 Denis passed away in 1886. One of his four sons, Thomas and his wife Catherine, had eighteen children. As the result of an accident, Thomas had one of his legs amputated. His wooden leg and "spare", can be seen in one of the many display boxes around the hotel. A portrait of Thomas now hangs over the fire place in Reception. In the event of Thomas and his Wife dying he bequeathed the hotel to his son Denis. At the actual time of Thomas' death in 1883, his son Denis had become a priest and served in Rome. Catherine, who was now the owner of the hotel, purchased property on Sovereign Street (now Pearse Street) and for the sum of one thousand five hundred pounds, had the present Hotel built by Sisk Builders in 1889, who also built the local Catholic Church. On her death, in 1918, she bequeathed the hotel to her daughter Catherine. Catherine born in 1882, was fondly known as "Miss Katty", or "Aunty Kat". A pioneering spirit, she travelled far and wide, and was considered "ahead of her time". A keen horse woman she has been credited to be the first woman in the area to ride western saddle, wear trousers, and smoke, in public. On her death in 1954, Catherine, who never married, passed the business on to her nephew Thomas. Thomas and his sister Bernie ran the business for many years. Thomas and his wife Mary had seven children, and now Therese, Tom and Dena carry on the business. Photographs of our ancestors adorn the main stairs. Many artifacts giving an insight into times gone by, and many old maps and books, are displayed for the historically minded guest. Born near Clonakilty Town, General Michael Collins was to become one of Ireland's greatest statesman, Soldier and patriot. A regular visitor to O'Donovan's Hotel he gave many an oration from the first floor window and from in front of the main door. He died during an ambush at Beal na Blath near Clonakilty in 1922. 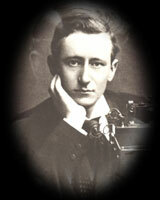 Born of Irish-Italian Parentage, He was an electrical engineer and pioneer of the radio. In 1907 he was an unexpected visitor to Clonakilty when he mistakenly alighted from his train at Clonakilty Junction and took the train to Clonakilty, instead of proceeding directly on the Bantry line to Crookhaven where he was involved in a trans-Atlantic wireless station. As the train pulled into Clonakilty, he discovered his mistake and was directed to O'Donovans Hotel, where he refreshed himself and was provided with a covered car and driver and a splendid pair of horses with which to continue his journey. 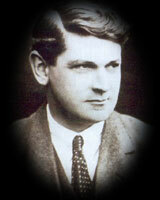 An Irish Nationalist and leader of the Irish Struggle for "Irish Home Rule". 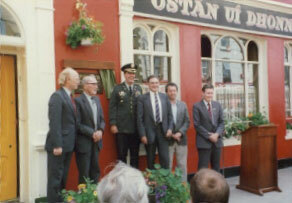 On his visit to Clonakilty, he was proceeded into town by the local fife band and Drum band where he made a speech from the first floor window of O'Donovan's Hotel to the people of the town. People came from all the neighbouring towns for this special occasion. 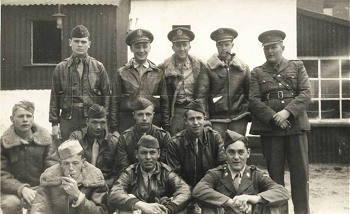 Some of the most interesting visitors to this hotel were the crew of a US Air Force "Boeing B-17f-25-DL Fortress S 42-3090 U 334/95BG" named "T'aint a Bird", an American flying fortress which force landed a mile from Clonakilty on April 7th, 1943. 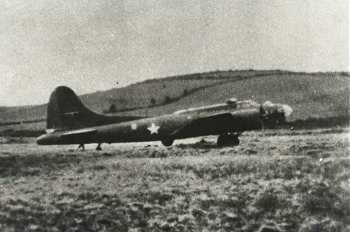 The plane was on its way from Africa to England when it strayed off course and ended up hovering over Clonakilty very low on fuel, eventually force landing on White's Marsh between the mainland and the island of Inchydoney. The crew of ten passengers and a pet monkey landed safely. The crew were accompanied to O'Donovan's Hotel by the Local Defence Force. They remained here for three days, the hotel taking on a carnival atmosphere in war-time, rationed Clonakilty. 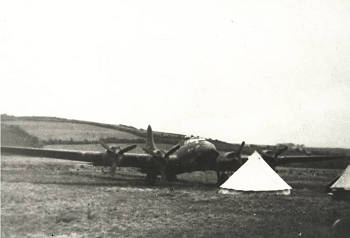 Eventually a mobile runway was laid and the plane took off for England via Shannon on May 2nd, 1943, leaving behind their monkey. "Tojo" who died here and was buried in the yard of the hotel where the Venue now stands, with full military honours. To the left of the Hotel, and under the archway is a thoroughfare to the river called Recorder's Alley. This is a reference to women cleaning fish here in the 1780's. On Sunday, 17th July, 1988, the Warplane Research Group of Ireland erected a plaque to commemorate the landing of Taint-a-Bird. It was unveiled by Eddie Collins of Inchydoney who was the first to greet the crew in 1943.